If you missed #18 click here. Best Moment: Releasing the dragons from their stone statues, I love hearing all of the stories and chats they have with Spyro! 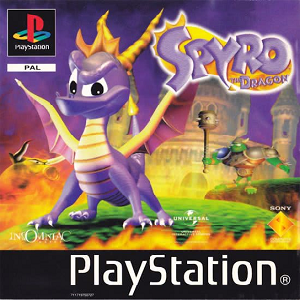 Ah, the game that started it all for this little purple dragon. The original Spyro is a very special game. 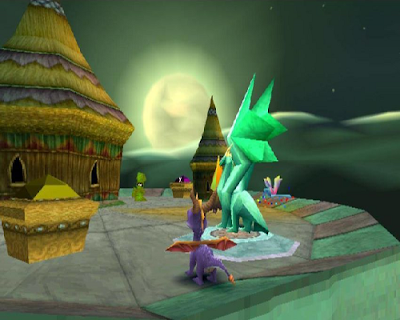 Sure, they may have improved the formula in Spyro 2 and added great mini games and plot in Spyro 3, but there''s something particular about the first one. It's not even like Crash - Crash 1 was, by comparison to its two sequels, inferior. But Spyro 1 lives right up there with it's two follow-ups, having its own style with the dragon releases from statues, and Spyro sounding as young as he's ever sounded, before giving him a slightly more mature voice in the sequels. Some of the level designs are just exquisite, and I probably prefer the music in Spyro 1 to the two other games as well. It's just a magnificent piece of work, and, along with the entire trilogy, I can't wait to get my hands on the remasters this autumn. What game was in at #16 in my countdown? Find out by clicking here!